This diverse compactor crushes the volume of waste thrown into your 240/360 litre wheelie bin using a standard 240V power supply it can be situated inside or outside. The 2 ton pressure exerted by its hydraulics produce enough force to give up to a 5 to 1 compaction ratio. 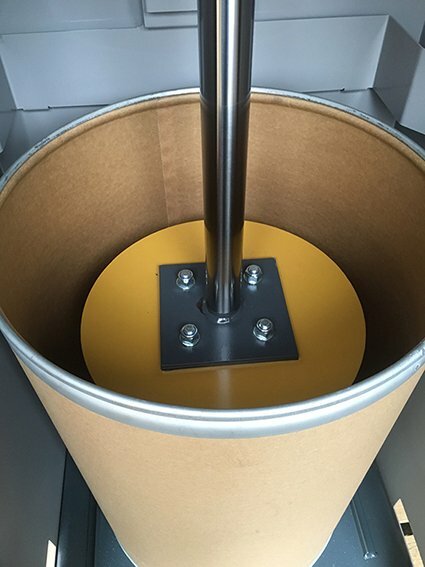 No pressure is applied to the castors on the bin during compaction. 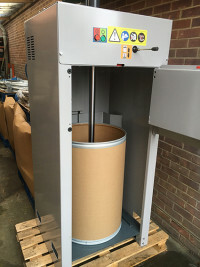 This unique model can also be adapted to crush waste into a 205 litre card/metal container as indicated in the photos (to the left). 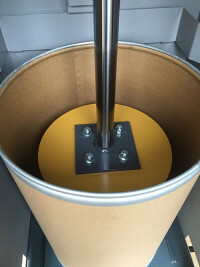 This is frequently adapted for use in applications where hazardous waste needs to be disposed of, such as contaminated material used in a paint shop. 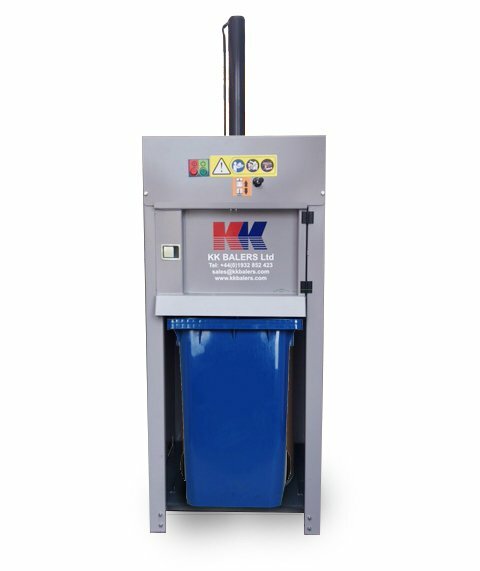 The KK 240/360 Bin Compactor can be rented or purchased on variable terms.